Designed for the price conscious specifier who requires a high velocity unit mounted up to 4.0m. Suited to either ‘on-view’ or ‘recessed’ applications. High heat output EAC units use variable speed fans that mean outputs can be adjusted to match specific site requirements. A low cost powerful air curtain, with high heat output and designed for either ‘on-view’ or ‘recessed’ applications. 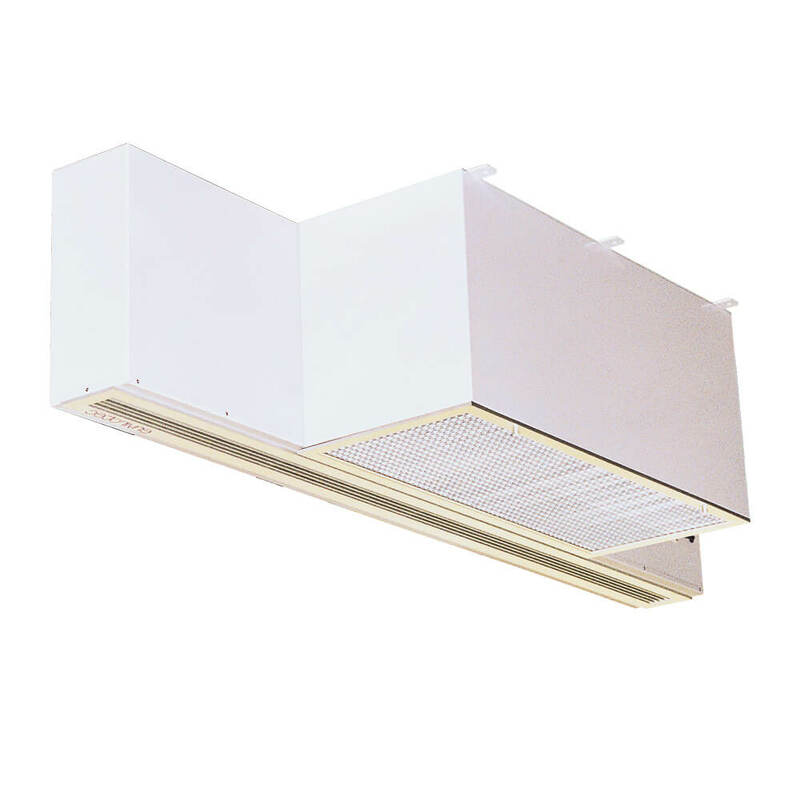 Often mounted in bulkheads and installed over loading bays with the fans protected by‘return air’ filter housing.